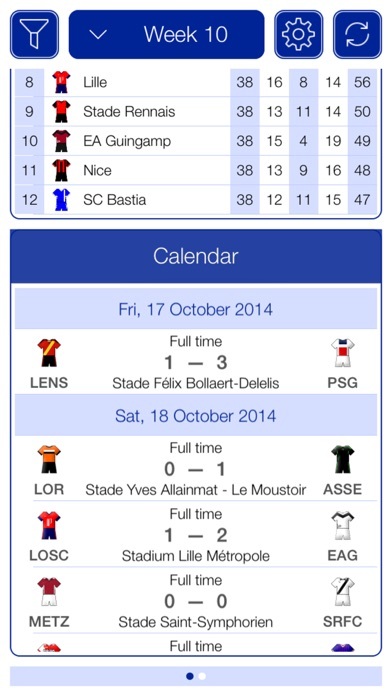 "French Football League 1 2015-2016 - Mobile Match Centre" - The application of the French Football League 1, - season 2015-2016 with Video of Goals and Video of Reviews. 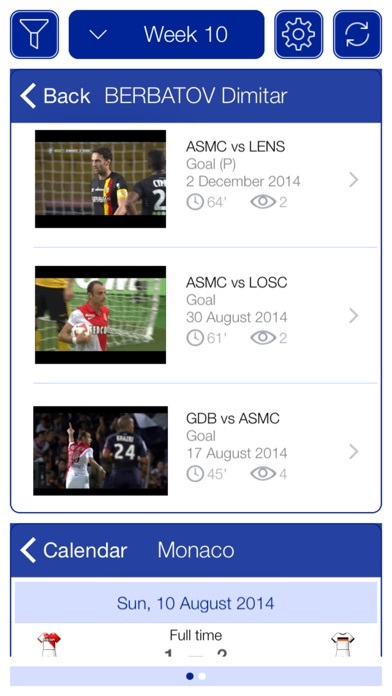 With the application "French Football League 1 2015-2016 - Mobile Match Centre" you have the opportunity to watch all events in the French Football League 1 in real time. 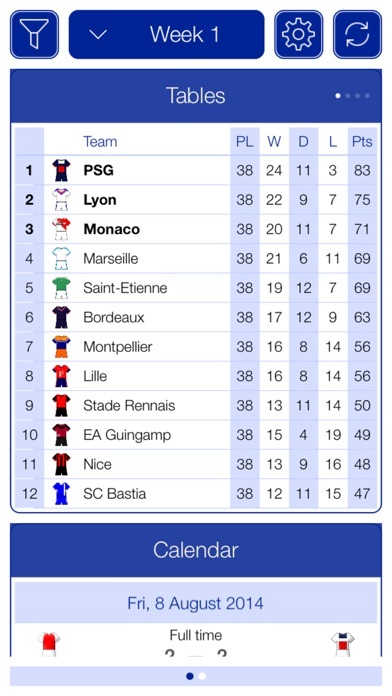 The application "French Football League 1 2015-2016 - Mobile Match Centre" contains only the most essential control buttons. All information about the match is always located on the same screen. Each object on the screen is active, which allows instantly receive information about the event and save the previous information. 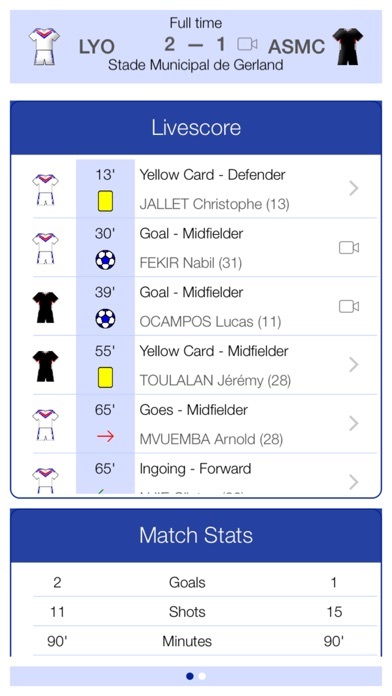 The application "French Football League 1 2015-2016 - Mobile Match Centre" also provides you with the LiveScore screen (broadcast per minute) and, together with the Push notifications, will not let you miss important events of the match (Kick, Goals, Fouls, Substitutions), when the app is closed or you have the screen of your device turned off. 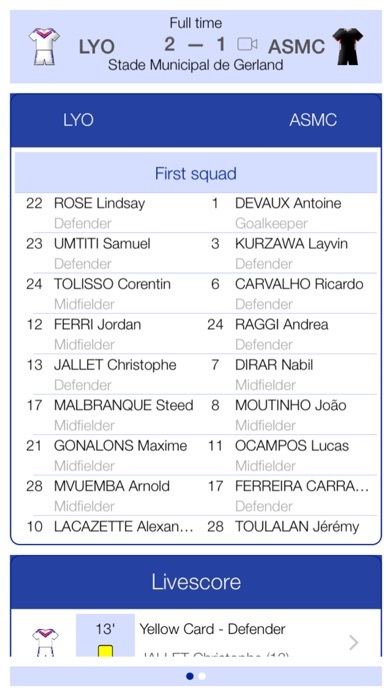 The application "French Football League 1 2015-2016 - Mobile Match Centre" includes full information about football clubs- lists of players with Statistics.